Ya'll…Listen, I love me some sweet tea. Put it in a mason jar and somehow it just tastes even better. Every self-respecting southern girl loves sweet iced tea. 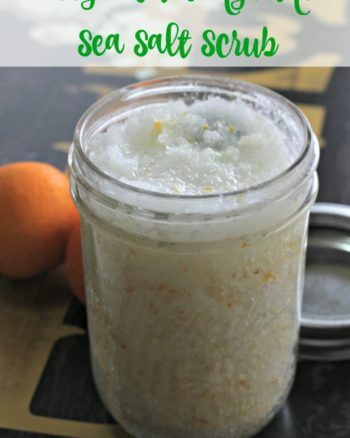 I also happen to love getting my hands into some homemade beauty products, especially scrubs. There is nothing like the smooth, soft skin you get after a good exfoliating scrub in the shower. 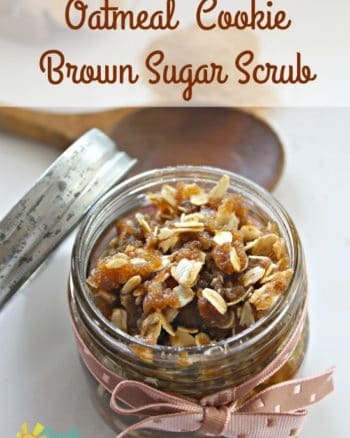 So I was messing around in kitchen and wanted a new scrub, something I had not seen before. 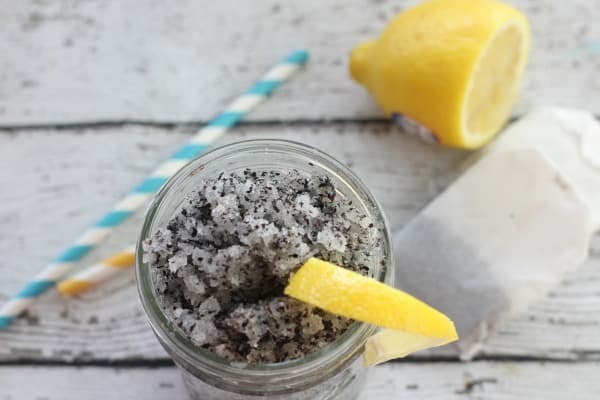 I always store mine in mason jars so as I was looking at it I thought why couldn't I make an inspired by sweet tea sugar scrub? It is perfect for summer ladies and I am sure though he won't admit it the hubby will be dipping into this concoction too. Wanna make some for yourself? I bet you already have everything you need on hand so let's get started. So all you need is just those 4 ingredients, but if you are going to store for long you might want to add a couple capsules of vitamin E-this acts as a natural preservative and will give you a much longer shelf life. Begin by combining sugar, oil, and tea. 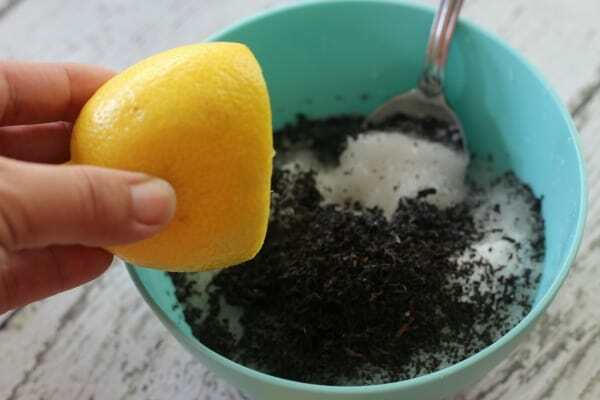 Squeeze half a lemon into your mixture. 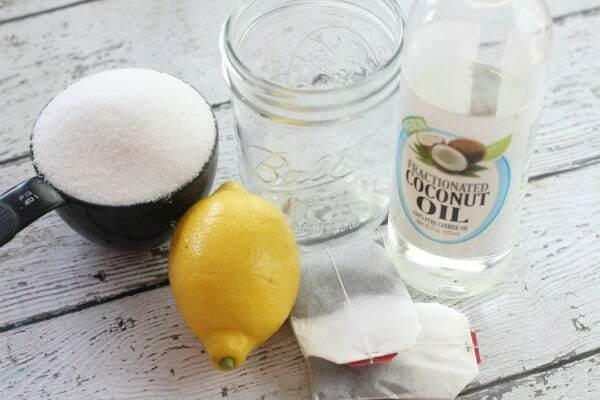 Stir well, add more coconut oil if you like your scrub a little looser. I prefer a good rough texture for maximum exfoliation. 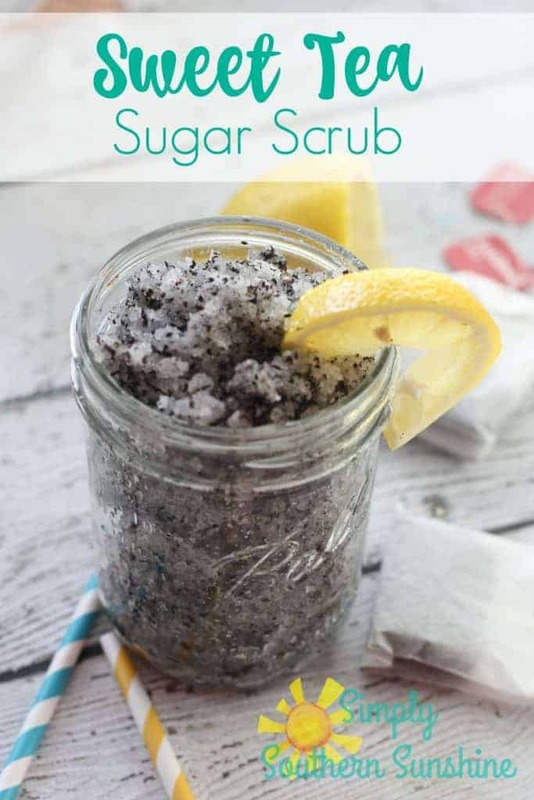 You can also add a few drops of lemon essential oil to boost the scent but I found this smells just like a glass of sweet tea on its own. Ya'll seriously, this smells sooooo good and makes your skin soft and smooth! Girl, sweet tea is my life! Oh I want some sweet tea …… yum! 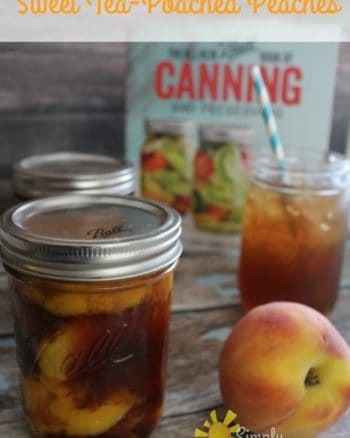 Thanks for sharing, I’ll have to make this for my best friend who also LOVES sweet tea!